Well-designed technical apparel and equipment will keep you warm, dry and comfortable on the trail. But accidents happen. Torn mesh on a tent’s door might lead to a swarm of biting insects inside your tent, a tear in a sleeping bag lining will produce a flurry of down feathers, a broken buckle on a waist belt can render a backpack nearly unusable — you get the idea. Outdoor brands can help in selecting new replacement gear or directing you to the closest retailer, but not so much in terms of repair. 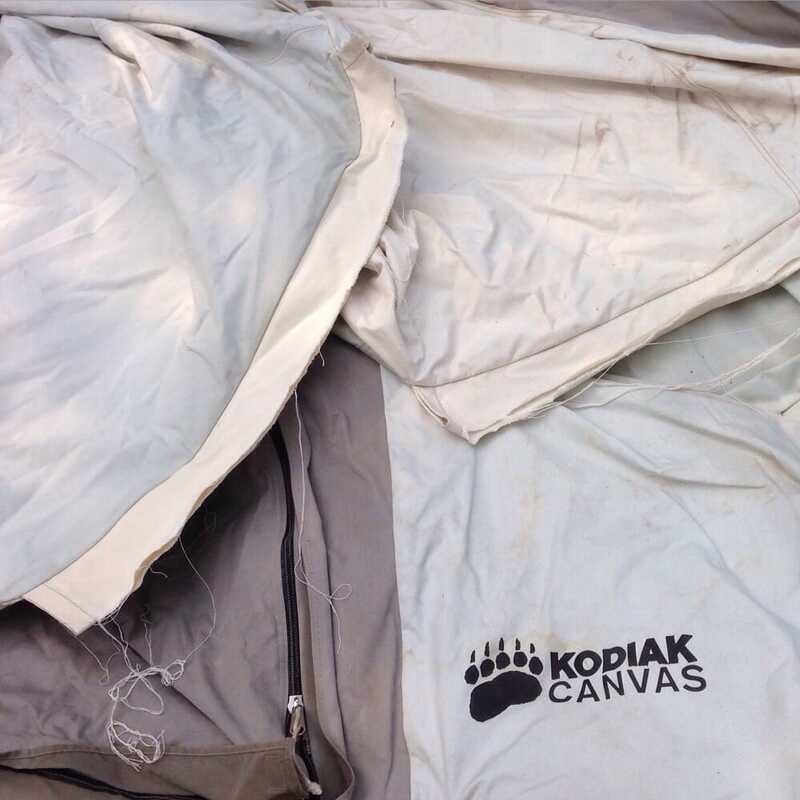 While some, like Patagonia, maintain a policy of repair that goes beyond “manufacturer defect” warranties, many others have closed or outsourced those services (and unfortunately, the condoling sympathy of customer service can’t bring a ripped tent wall back to life). Thankfully, an ecosystem of highly skilled repair shops exists that can address these issues. More and more outdoor enthusiasts are adopting an ethos of repair and reuse, and these shop owners, some of whom have operated for decades, are a well of experience that not only addresses that approach but also champions it. Most of these repair shops are adept at handling any general repairs for equipment like backpacks and tent poles, while in some cases — like resoling a pair of leather hiking boots — specialized knowledge is called for. Pricing varies. Some shops post prices per project, like replacing a zipper are patching up a tear in a jacket. Others list an hourly rate. Almost all of these shops will offer estimates based on a description of the issue and an emailed photograph of the needed repair. Don’t worry if you think the damage is too extensive or complicated to fix — these folks thrive on the challenge. An important piece of advice: as more people become aware of and opt for gear repair services, turnaround time can be as much as two to three weeks, or even longer. If you have an upcoming trip (or time-sensitive permits) think and plan ahead to ensure that these craftsmen have plenty of time to repair your gear. Bend, OR: If it has a broken zipper, Rugged Thread can fix it. Rain jackets, sleeping bags, tents, life vests; even travel trailers and sailboat covers. Broken teeth, missing teeth or worn out coil zippers? Come here for quick, wallet-friendly repairs (cost is case-by-case but can be as low as $20). But zippers are only part of their repair expertise; the Rugged Thread staff patches holes, adds straps and snaps and replaces elastic cords too. Seattle, WA: As a Gore-Tex fabric repair specialist since 1986, Rainy Pass Repair can fix anything that needs some thread-and-needle TLC. In handling well-used technical shells, its team will maintain the waterproof/breathable benefits of the original material (and be mindful of final appearances too). Don’t live in Seattle? That’s okay — Rainy Pass created a straightforward form for mail-in jobs. Vancouver, WA: Sooner or later, tent poles give out. Fiberglass poles crack, aluminum poles crimp and shock cords fray. Armed with your tent’s model name and number, TentPole Technologies can rebuild, repair or replace the poles and get your shelter standing again. With 35 years of experience working with major tent pole manufacturers, it has a direct line to get the parts you need (if the staff doesn’t already have them in their Washington shop). Boulder, CO: Backpacks can elicit a deep sense of faithfulness. Some owners can’t bear to replace one that’s accompanied them on dozens of trips. But sometimes, scrapes and stains that are mementos from adventures past can transform into shredded panels and worn-out straps. Boulder Mountain Repair can repair those problems and add modern features to old packs like hydration sleeves and custom pockets. Seattle, WA: With an international reputation for quality work, Dave Page, Cobbler can resole or repair boots for hiking, mountaineering, climbing, telemark skiing and more. The boots are returned meeting or exceeding original factory specifications — Page is an authorized repair agent for Scarpa, Salomon, Lowa and more, and REI lists his name on its website as its only recommendation for footwear repair services. Spokane, WA: With more than 20 years of experience, Specialty Outdoors can handle most gear repairs. Before addressing the broad scope of repair, its founder, Penny Schwyn, formerly sewed for Mountainsmith. Now, she’s authorized by The North Face, Helly Hansen and Trew Gear to repair their products (but works with any brand’s products). And if you’re wondering about modifying your equipment by adding custom elements like a waterproof pocket, hydration tube port or pit zips, give her shop a call.